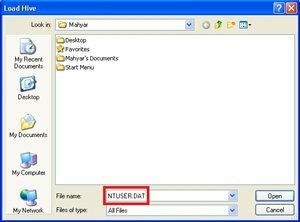 Migrating local user profile to domain user profile is an easy to follow process. 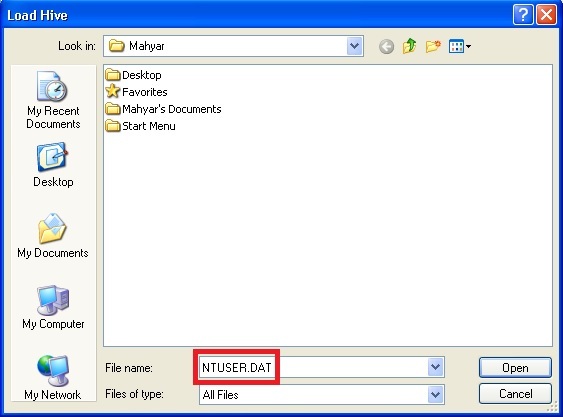 You simply copy the data from the local profile to the domain profile folder. But what if the user has over 20 GB of data on his/her profile? I know it is not recommended to store confidential information on your profile but this is the problem you have to deal with. 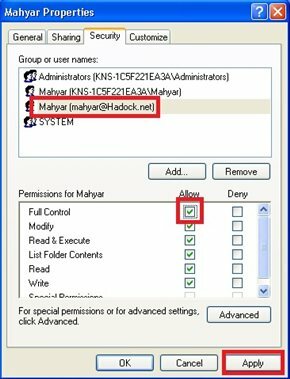 Are you going to transfer all the profile data to the domain profile? I have another method to achieve this goal. Stay with me for 5 minutes and save your time for 1 hour. This step in this guide is not necessary. I mean you can skip this step if you already have a local profile. 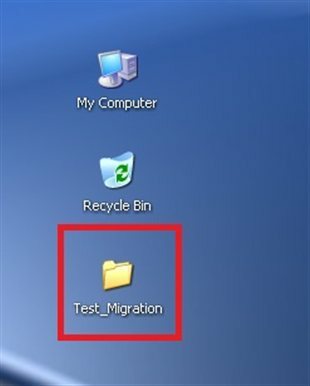 Since we do not have a local profile, I will login to a workstation using local credentials and customize desktop and create some folders on my profile. 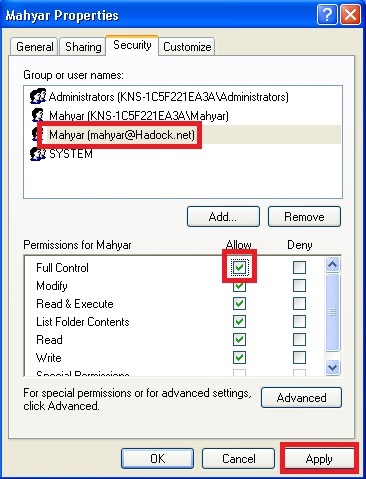 If you navigate to User profiles folder (C:\document and setting for windows XP) you will notice that there are local profile and domain profile for user Mahyar which is out test user account. 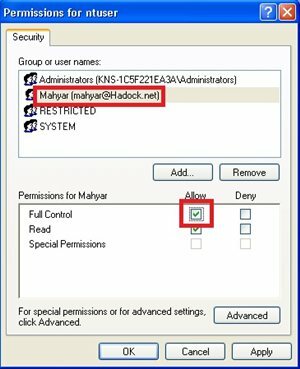 Right click on Local profile folder and navigate to Security tab. Here what you have to do is to add domain user account and assign Full Control permissions on the folder. Open up registry editor by typing regedit on Start > Run and hit OK. 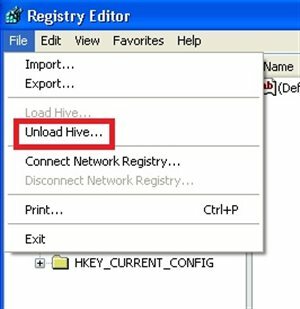 Select HKEY_LOCAL_MACHINE and click onLoad Hive… from File menu. And here is the cool part. 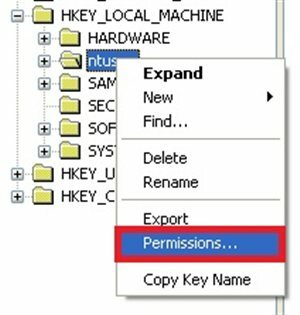 You have to assign the same permissions on this node for domain user. 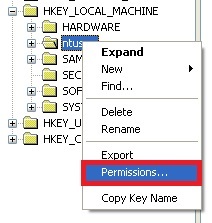 So right click on the node and go to Permissions. 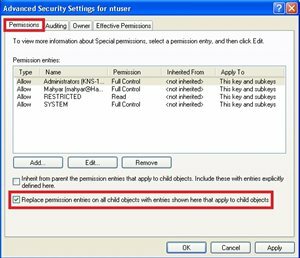 Again add domain user to the security tab and assign Full Control. You also have to replace permissions on child objects of ntuser node. Is profile migrated yet? 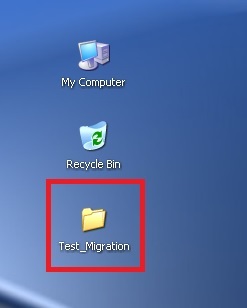 No..
Last step in order to migrate the profile is open up registry editor and navigates to the following node:HKEY_LOCAL_Machine\SOFTWARE\Microsoft\Windows NT\CurrentVersion\ProfileList. 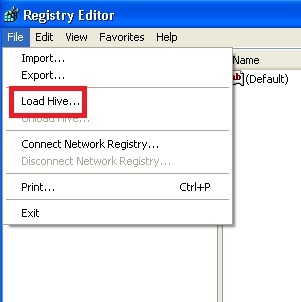 In this node you will see all the settings related to user profiles on your computer. 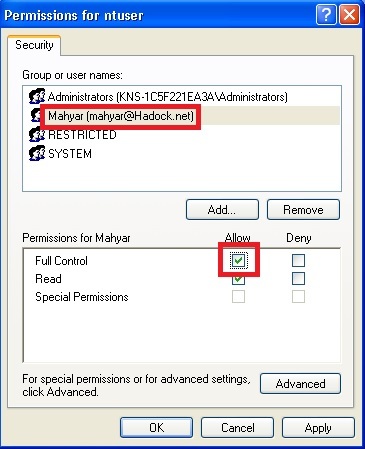 Firstly you have to find the local profile node. It is fairly easy by clicking on each node and looking at below key. 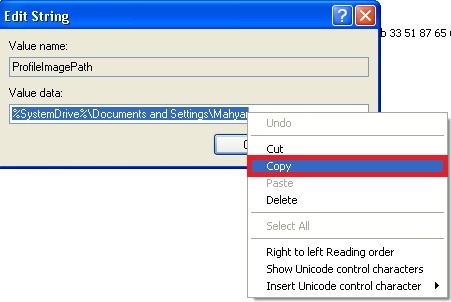 Once you found the local folder double click on ProfileImagePath and copy the path.